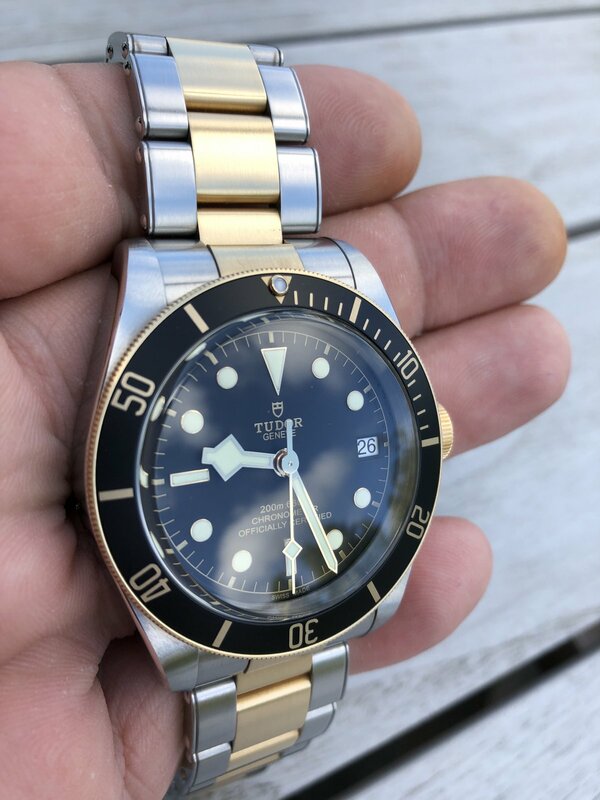 Tudor Black Bay Steel And Gold Ref M79733N-0002 41mm case diameter. The watch is in excellent condition. Bracelet of course has signs of wear. Comes fully with complete box and papers. Letting watch go at: $3500 plus shipping cost.